The sleek graphics and luxury interior of the new Forest River Cedar Creek Champagne Edition fifth wheels will have you celebrating every adventure you take! These units feature two-toned painted front caps with full clear coating for long lasting beauty and durability. You will love the automatic 6 point hydraulic leveling system as you set up, as well as the four aluminum entry steps up to a larger entry door. On the inside you will immediately notice the upscale quality throughout, and quickly see how at-home comfortable you will be during all of your travels. There is designer flooring and hardwood cabinets to enjoy along throughout each model. You will love that the bathrooms are 44% larger which include his and her sinks, and we are certain that you will sleep peacefully on the king mattress so comfortable you will never want to come home. If this sounds like what you have been looking for, check out all of our Cedar Creek Champagne Edition fifth wheel floorplans for sale, including the 38EL, the 38ERK, and more! 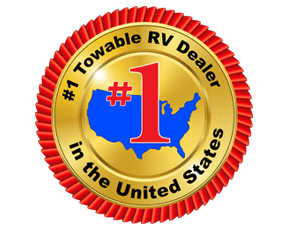 Contact us to get more information about our RVs today!